Peter, accompanied by his wife Stefanie, is visiting Cuba this week, attending the 11th Habano Cigar Festival in Havana. He has written several articles for the San Francisco Chronicle in travel log fashion. Though he's receiving some flack for his political statements, I'm sure our socialist will continue to make waves. The photo was taken the other evening with Cigar Aficionado's James Suckling, who described Coyote as "a thoughtful liberal with a huge love of the leaf." 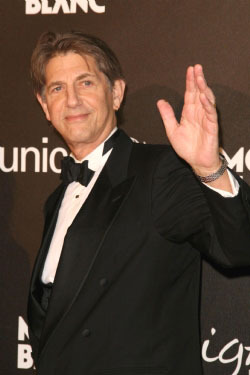 Two days before the Academy Awards, Peter attended the international charity gala called "Montblanc Signature for Good". It was held at Paramount Studios in Hollywood. The charity benefits UNICEF education and literary programs. 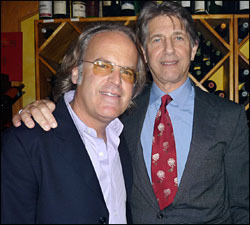 The evening included a champagne reception followed by a unique menu designed by Wolfgang Puck. The photos below show Peter with "4400" series co-star, Karine Lombard. The answer to the mystery photo in the last update was the 1982 film, "Endangered Species". 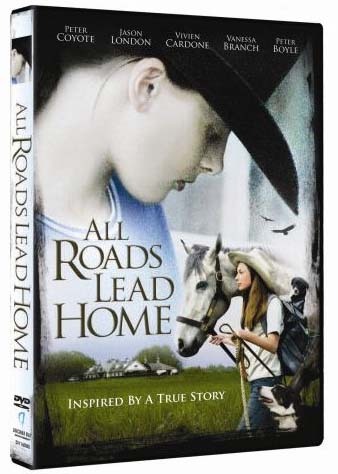 Almost three years from the start of production in Kansas City, ALL ROADS LEAD HOME, was finally released on DVD on January 13th. It had a limited theatrical release in the midwest last year and showed up at a few film festivals. Girls between the ages of 8 and 12 will love this film. The story involves the successes and struggles of a young girl named Belle Lawlor (played by Vivien Cardone) who undergoes a drastic personality change after her mother dies. She rebels against her father and is sent to live with her grandfather (played by Coyote) on his Kansas farm. Doug Delaney, who penned the script, believes the real story is about wounded people and animals and how they can heal each other. 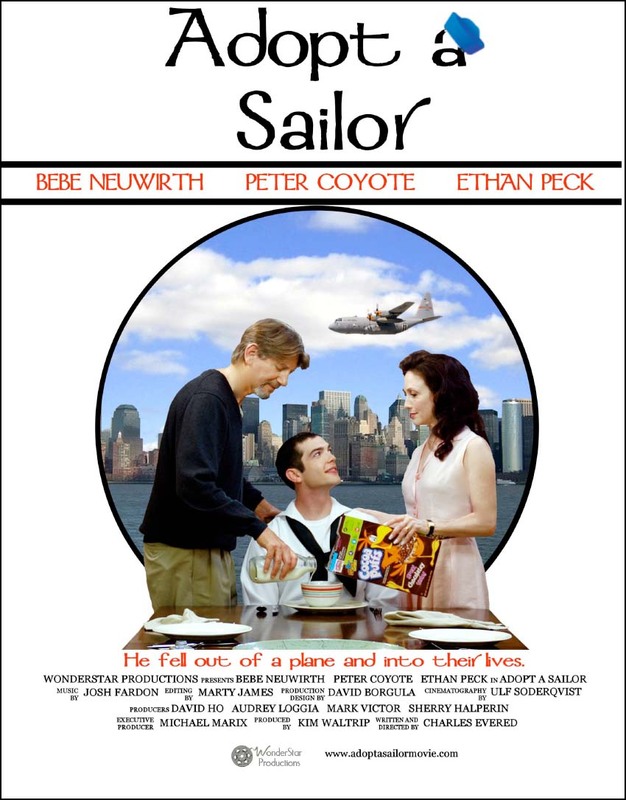 In an interview last month at the Palm Springs Film Festival, producer Kim Waltrip spoke about her film, ADOPT A SAILOR, an idea which began as a 10-minute staged reading piece for the one-year anniversary of September 11, 2001. 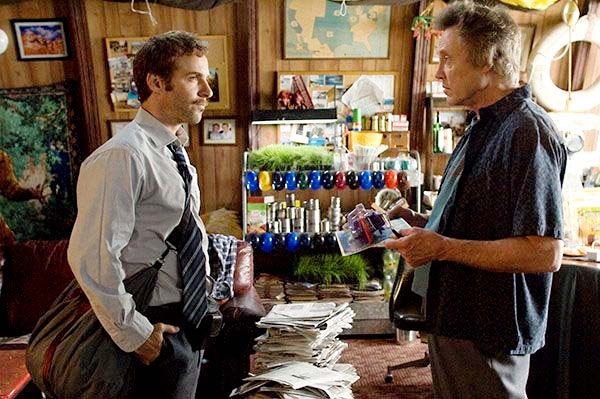 In early 2007 Kim was given the screenplay by writer Charles Evered and she quickly knew this film had to be made. They pulled together financing, cast and permission from the Navy to shoot on deck of a carrier during Fleet Week in May 2007. 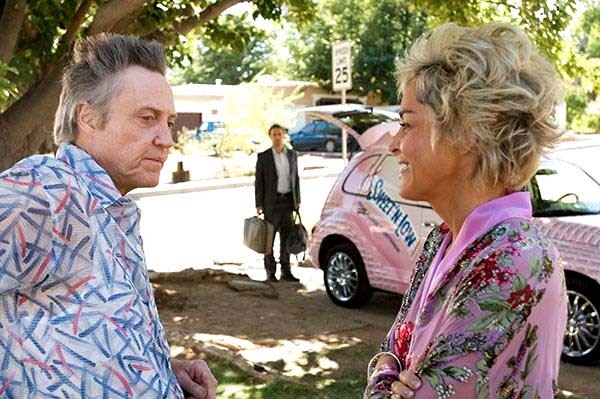 The rest of the film was shot in the desert at a home dressed to look like an upscale New York City apartment. Peter remembers getting the script and thinking how alive and witty it was. He knew he had to sign up. 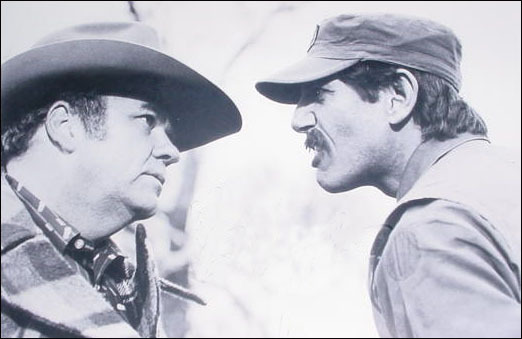 Though working with a first-time director can sometimes be problematic, Peter recalls, "Working with Charles was like heaven. He wrote the play, he's lived it, but he has the sense to trust his actors. His direction was sparse and sure." Kim admits it was a small production, but with a huge scope. She adds, "The response from audiences thus far has been amazing. The film seems to touch everyone, no matter what policitcal party they are in, no matter what part of the country they come from. There is something very universal about this story that resonates with everyone who sees it." 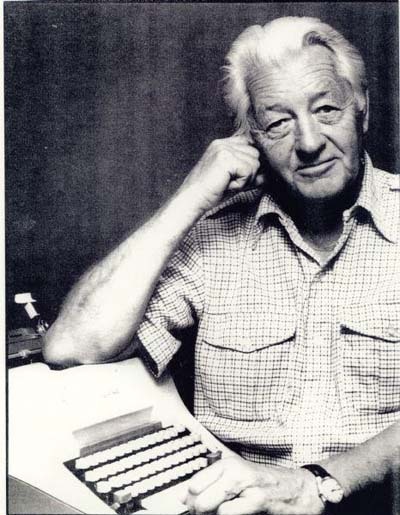 In honor of Wallace Stegner’s birth on February 18, 1909, the University of Utah’s public television station KUED TV has produced a new documentary on Wallace Stegner. The biographical film, narrated by Peter, premiered February 2nd and will be used in a variety of upcoming centennial celebrations of the famous Westerner's life. Stegner was many things - teacher, historian, environmentalist and writer. He was a Pulitzer Prize-winning novelist and non-fiction author, with more than thirty full-length works and countless essays addressing the landscape, humankind’s footprint, and the evolution of a region and nation. The hour-long documentary will feature interviews with former U.S. Supreme Court Justice Sandra Day O'Connor, the late Edward Abbey, ex-U.S. Department of Interior secretaries Bruce Babbitt and Stewart Udall, environmentalist and river guide Martin Litton and biographer Phillip Fradkin. 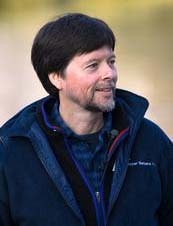 Coincidentally, Wallace Stegner once called the national parks "the best idea we ever had" and filmmaker Ken Burns has incorporated that into the title of his next documentary series called "The National Parks: America's Best Idea". The 12-hour, six-part program, directed by Burns and co-produced with his longtime colleague, Dayton Duncan, who also wrote the script, will premiere on PBS in the fall. The series will tell the remarkable story of our national parks from Acadia to Yosemite, Yellowstone to the Great Smoky Mountains, the Everglades of Florida to the Gates of the Arctic in Alaska, and scores of other parks that preserve unique landscapes and icons of our national existence. Burns promises it will not be a travelogue or a "nature film" but a documentary history, albeit with some of Nature's most spectacular locales as its backdrop. Its drama will reveal struggle and conflict, high ideals and crass opportunism, stirring adventure and enduring inspiration. In addition to Peter's narration, the series will feature first-person voices read by several other actors, including Tom Hanks, Andy Garcia, Josh Lucas, Eli Wallach, Campbell Scott, Sam Waterston and John Lithgow. PBS Home Video is producing a complete DVD box that will feature "making of" footage and an interview with Burns and others involved in the film. Another Palm Springs event, running from March 4-8, is the Agua Caliente Cultural Museum's Festival of Native Film & Culture. The 8th annual festival will offer narrative feature films, documentaries and short films from Native American and international indigenous filmmakers. Peter has narrated a documentary called "Power Paths" that will be screened at the festival on Friday, March 6. Bo Boudart's new film focuses on the Navajo, Hopi and Lakota Sioux people who are opting to introduce renewable energy projects into their communities through grassroot movements. Mystery photo of the day for die-hard Coyote fans. 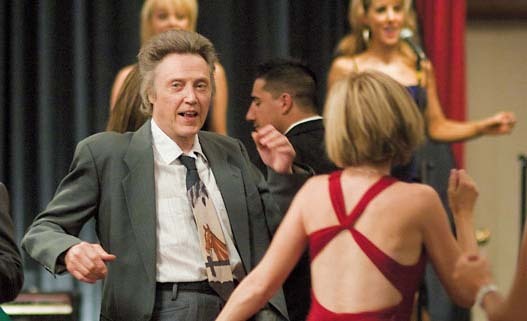 Can you name the movie? Lennie Appelquist recently filmed an interview with Peter Coyote one misty morning in the Muir Woods, just north of San Francisco. Peter was asked what it means to live your best life. He spoke about his love of the Muir Woods. In the sixties when he "dropped out" and became a part of the hippie culture, he actually lived in the woods. As he stood with the small crew in the woods, he looked at the redwood next to him and said, "This redwood gives off oxygen so we can breathe but do we view it as something magnificently manifested in a spiritual sense?" Peter's question makes me wonder how does a fully human, fully alive person not view nature as a supreme reflection of God's glory. Obviously, if everyone believed this, we wouldn't be living in a polluted world today. You can add another National Geographic documentary to Peter's ever-growing list.. His latest one is called "Lost Cities of the Amazon", a 52-minute film that looks at efforts to find legendary cities of gold described by a Spanish cleric accompanying early Spanish Conquistadors. 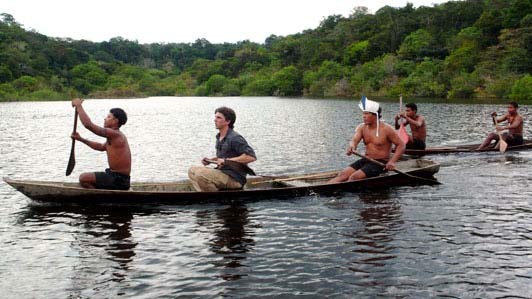 Over the centuries, explorers traded tales of a lost civilization amid the dense Amazonian rainforest. Scientists dismissed the legends as exaggerations, believing that the rainforest could not sustain such a huge population - until now. A new generation of explorers armed with 21st-century technology has uncovered remarkable evidence that could reinvent our understanding of the Amazon and the indigenous peoples who lived there. Using CGI and dramatic re-creations, National Geographic re-imagines the banks of the Amazon 500 years ago, teeming with inhabitants living in the Lost Cities of the Amazon. "Normally I get the creeps when I see celebrities pretending to be diplomatic emissaries or enrollees in the latest overseas cause. But I know these two guys. They're not doing dilettantish stunts here, like some celebs who show up in the Baghdad Green Zone in flack jackets, 'fact-finding' and spending hundreds of thousands in US taxpayer-funded security for the photo op. There were no grip-and-grin shots of Sean with Castro and no one knew about it until he published his interview." Peter, a long-time political junkie, says he was "listening to C-Span and heard a bunch of foreign service professionals talking about the need for more person-to-person contact" in various countries hostile to the US. So he arranged to meet with Syrian TV stars and other artists. Then he went after appointments with politicians. "I'm a little old for a stunt," he says. "What am I going to do, get a romantic lead role out of this written for a 30-year-old because someone saw me in Syria?" Neither of these trips to current axis of evil countries are official door-openers for Mr. Obama. But neither are they Jane Fonda on North Vietnamese artillery gun. Let's remember that Nixon's opening to China started with ping pong, right? I'm not big on throwing the diplomatic doors open to anyone with greasepaint. Other than Bono, whose frequent flyer miles I want. I mean what if Mickey Rourke shows up in North Korea with an albino alligator and a bottle of steroids for Kim il Jung? (They could compare dads.) But there are some actors, like Penn and Coyote, who can operate outside the envelope of their craft in a pretty interesting way, so why not?"